Check out EverythingHerePlus.com's latest deal: $1.00 Priority Mail Flat Rate delivery to every address in the United States on the FW8-FIO-UB5PRH FireRepeater-800 Pro FireWire 800 IEEE 1394b Repeater Hub 5 Port. Purchase a power supply (PS-12VDC-UB or PS-12VDC-UB-EUROPE) at the same time, and both items ship in the same box for the same price — EverythingHerePlus.com will subtract power supply shipping at time of order processing. For international orders or shipping other than USPS Priority Mail, they'll apply a $4.00 USD discount to quoted shipping prices. This offer is only available on USPS Priority Mail Flat Rate Small Boxes shipping to United States destinations. Offer expires Midnight, September 30, 2010. The folks at EverythingHerePlus have been busy as of late. 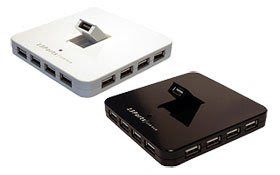 One of the more important piece they've put together is Power Supply Information for FireWire Repeater Hubs like Unibrain's FireRepeater Line, which takes all the mystery out of when and why one would need a power supply for a FireWire repeater hub. The information is especially valuable for those using FireRepeater-800 PRO and FireRepeater-400 products. In contrast to its competitors, Unibrain’s FireRepeater-800 PRO has a wall mounting bracket to secure the unit in place, and the ability to screw-lock your FireWire cables in place. I would recommend the Unibrain FireRepeater-800 PRO to anyone wanting to connect more devices to his computer than he can daisy-chain, and up to a longer distance than is possible without a repeater device. Given their breadth of FireWire knowledge and glowing customer reviews, you'd be hard pressed to find a better place to purchase FireWire products. Out of all the iPod's I've been fortunate enough to own over the years, the 4th Generation model iPod Nano has been my favorite. It struck the perfect balance of size, screen usability, and heft in the hand. What made it best for me though, was that incredible click wheel. There are people that will probably be happy to see the venerable clickwheel go, but they're are superior to multi-touch screens in two significant ways. Pause/play, skip songs, without looking at the device. Fine tune volume without looking in a more elegant way. While younger folks might not appreciate the second too much, for most of us, turning volume up and down with a knob seems more natural. Sure, that's a relic of potentiometers. Nevertheless, I find the circular motion of clickwheel volume far more granular and controllable than a series of buttons or onscreen controls. Multi-Touch screens are great for some things. 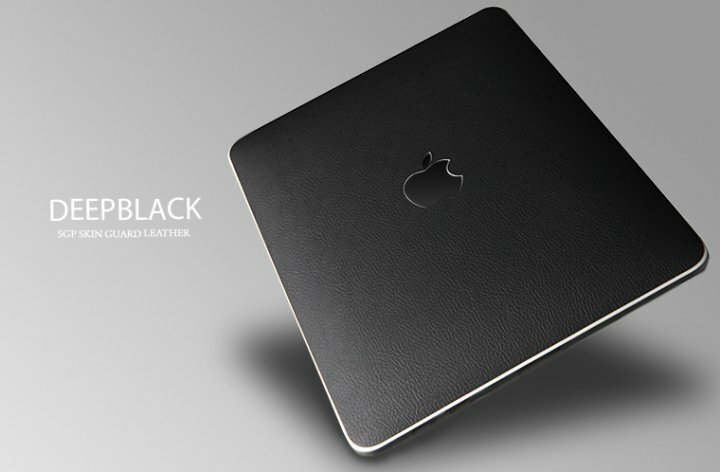 Yet I can't help thinking that Apple has gone a little overboard here. Some people argue that music collections are too big for the original iPod navigation system chickwheel support. There may be something to that, but I have never felt the replacement (I do have a 1G iPhone) music interface was better. In fact, I find that interface so awkward that I don't use the iPod functions on my iPhone at all. As for dropping video on the nano (display and recording), I'm not too disappointed. I've never used the video capability on any of my iPods, and friends with 5th Generation model iPod nanos don't use the video recording capabilities on theirs. Those features have always fallen under the "I'm glad it can, but never use it" category for us. Other than using the world clock function on the rare occasions that I am traveling, my iPod only sees action in the music section of the menus. I'm not alone in these concerns. Chris S. and Michael wrote very similar pieces in the OWC blog concerning the new nano's transition to screen based controls. The Register has a write up on all of the new iPods. Their comments on the iPod Classic are interesting. My second most used iPod is my 40GB pre-classic iPod, something that I would only replace with an iPod classic as opposed to an iPod touch. Did you know FireWire 6-pin to 9-pin cables are the same as FireWire 9-pin to 6-pin cables? You simply flip the cable! 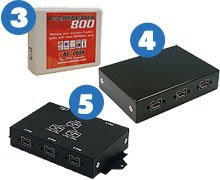 Using FireWire 800 and FireWire 400 Cable Converters and Adapter Plugs like the CAB-FW8-6-9-CONV and the CAB-FW8-9-6-CONV for existing cables is an inexpensive solution. However, the best solution in terms of electrical and signal shielding for bridging between 6 pin FireWire 400 Ports and 9 pin FireWire 800 ports is a 6-pin to 9-pin FireWire cable. 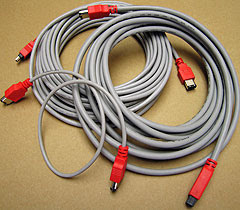 EverythingHerePlus carries 2M (6.6F), 4.5M (14.8F), 10M (32.8F) versions of FireWire 6-pin to 9-pin cables. Check out the full range of FireWire 800 Cables and FireWire 400 Cables at EverythingHerePlus.com in the shopping cart section on any of their FireWire Product Pages. Congratulations EverythingHerePlus.com, on your Terry White review! If you need to have a lot of peripherals connected at once and you're short on built-in USB ports, this is a great option. Available in glossy black or white finishes, these inexpensive 13 Port Hi-Speed USB 2.0 Hubs come with 4 amp power supplies. 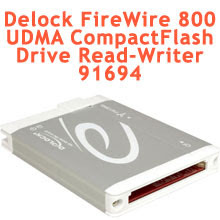 The U111-M is an external read-writer for PCMCIA PC Card SRAM, and ATA Flash memory cards. The U111-M works without additional software or drivers on supported operating systems, treating both SRAM and ATA Flash as standard removable USB mass storage devices. Used in concert with a Type II PC Card adapter, the U111M USB to PCMCIA Memory PC Card drive will work with a variety of consumer memory cards including CompactFlash and SD Cards. Used with desktop or notebooks computers, the U111-M USB to PC Card Read-Writer 1 Slot PCMCIA PC Card ATA Flash and SRAM makes copying files to and from PCMCIA PC Card SRAM and PCMCIA PC Card ATA Flash devices simple and straight forward without confusing software interfaces. 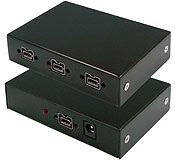 The U111-M comes with a USB 'Y' for use on rare systems with underpowered ports. Simply plug in the additional power only connection in order to provide necessary current. 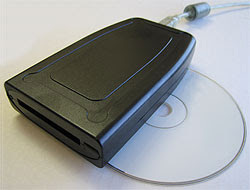 The U111M provides an inexpensive, hassle free solution to deploying legacy PCMCIA PC Card memory SRAM and ATA Flash cards on modern Linux and Windows computers with USB 1.1 or USB 2.0 ports. Paul Graham's The Roots of Lisp, a cogent essay dealing with John McCarthy's astonishing 1960's paper which introduced the LISP language, and more importantly, the functional model of programing. Graham stresses his essay is more important today than ever, given how more languages have moved (albeit in a piecemeal fashion) towards the LISP model. Working with seven primitive operators, the paper shows how the entire language is built. Most importantly, the paper shows the LISP trademark, how to write the language in itself. An interesting aspect for Scheme programmers like myself is the discussion of dynamic versus lexical scoping. Reading the paper reminds us of why functional languages, especially LISP based ones, aren't just the best for expressing algorithms, but are the most elegant models of programming since the are easily transcribed in mathematical notation. I can't recommend The Roots of Lisp enough. The paper is available for free download on Paul Graham's site.